This branch of the British armed services consciously fosters cheerfulness and nourishes its collective memory. Business executives should take note. Britain’s Royal Navy is a disciplined command-and-control organization that moves across 140 million square miles of the world’s oceans. Although few environments are tougher than a ship or submarine, I’ve been struck, while conducting research on the Royal Navy, by the extent to which these engines of war run on “soft” leadership skills. For officers leading small teams in constrained quarters, there’s no substitute for cheerfulness and effective storytelling. In fact, I’d go so far as to say that naval training is predicated on the notion that when two groups with equal resources attempt the same thing, the successful group will be the one whose leaders better understand how to use the softer skills to maintain effort and motivate. I believe that the same principle holds true for business. In this article, I hope to translate for business leaders—like the ones I’ve gotten to know throughout my career as a business-school professor and communications adviser—some of what I learned while writing the Royal Navy’s first new leadership handbook since 1963. That handbook,1 published last year, is based on research of unprecedented length and breadth, as well as my own direct observation of officer training and life at sea. Among the many softer leadership skills important to the Royal Navy, I highlight here the aforementioned cheerfulness and storytelling, which to me were both unexpected and broadly applicable. While the means of applying these lessons will, of course, differ by organization and individual, reflecting on them should stimulate fresh thinking by senior executives about the relationship between soft management skills and superior performance. The Royal Navy assiduously records how cheerfulness counts in operations. For example, in 2002 one of its ships ran aground, triggering the largest and most dangerous flooding incident in recent years. The Royal Navy’s investigating board of inquiry found that “morale remained high” throughout demanding hours of damage control and that “teams were cheerful and enthusiastic,” focusing on their tasks; “sailors commented that the presence, leadership, and good humor of senior officers gave reassurance and confidence that the ship would survive.”4 Turning up and being cheerful, in other words, had a practical benefit. How do you teach cheerfulness? 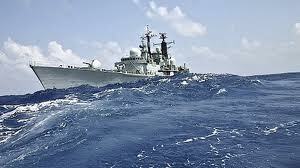 The Royal Navy takes every informal opportunity to demonstrate its usefulness. To fill the dead time that invariably occurs during training exercises and other routine activities, for example, navy personnel routinely hold informal games or contests. These games, known as Dogwatch Sports (after the dogwatch periods of duty in the evening, when the entire ship’s company is typically awake), are often trivial and nonsensical—passing a stick, for example, across an ever-widening divide. But besides cheerfulness, they encourage speed of thought, an outward-looking mind-set, and a willingness to talk. Cheerfulness in turn affects how people sit, stand, and gesticulate: you can see its absence when heads are buried in hands and eye contact is missing. Royal Marine commanders understand particularly well that cheerfulness is fueled by humor: one I met required his whole company to “sing for their supper” by telling a joke—any joke—in front of their fellow marines prior to eating. That’s part of a wider navy culture that expects everyone, from the top down to the newest and rawest sailor, to be able and willing to stand up and talk, in an impromptu fashion, about what they’re doing. Such a skill is especially prized in an organization that moves people quickly and often (typically, every two years) and requires them, perhaps as a matter of life and death, to hit the ground running in their new posts. Several times, I personally experienced the social cohesion that banter helps promote, most memorably on mountaintop exercises with the Royal Marines. News of my snoring had preceded me at nightfall, but embarrassment quickly gave way to a feeling of social inclusion in a group of people I had never previously met. Banter is always tempered by respect for others. The relevance of many of these techniques to the corporate workplace is obvious, not least in a world of rapid job rotation, team-based work, and short-term projects that are typically set up in response to sudden competitive challenges and require an equally fleet-footed response. 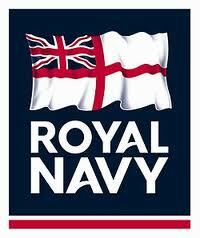 The Royal Navy has a highly efficient informal internal network. Leadership information and stories known as dits are exchanged across it—between tiers of management, generations, practices (branches), and social groups. With the help of dits, the Royal Navy’s collective consciousness assimilates new knowledge and insights while reinforcing established ones. Visitors to naval establishments or ships are often invited for a few dits; crews are encouraged to share theirs. 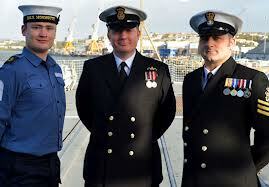 These dits are one way the Royal Navy fosters what a business would call its culture, or philosophy. Writing in 1966, long-time McKinsey managing director Marvin Bower observed, “The literature on company philosophy is neither very extensive nor very satisfactory.”5 I fear that the same is true today and that many commercial organizations would benefit from thinking more deliberately about how to foster what in effect is their collective memory. A bust of a long-dead founder in a company’s entrance hall is no substitute for the way the Royal Navy meticulously charts its informal experiences of leadership and broadcasts them throughout leadership training. The experience of a special-forces commander in tackling Somali pirates—and his emphasis on the 40 separate scenarios his team contemplated ahead of the engagement—underlined to everyone listening the Royal Navy’s meticulous attention to detailed and exhaustive planning. The Royal Navy allocates time and space for these exchanges: two examples are Stand Easy (a midmorning tea break) and ship’s company Adventurous Training (an off-site expedition in which a ship’s department—a group that could include anywhere from 12 to 100 people—participates in team and individual activities such as mountaineering, exploring caves, and kayaking). And the long-standing messes where personnel can meet and talk to colleagues have only recently been mirrored by corporations in the setting up of attractive communal spaces, dubbed village greens in one organization I know. The value of informal dits is also supported by the Royal Navy’s collective formal memory, or long-wave culture. At every naval establishment, two books are on display in the entrance, both open at the day’s date. One is a book of remembrance for those killed in action on that day; the other details past naval activities on that date. Both draw on the Royal Navy’s 400-year history. There’s a fine line, of course, between respecting timeless values that can sustain an organization when times get tough and becoming a prisoner of the past or desensitized to changes in the forces at work on that organization. The power of the Royal Navy approach is to focus on what individuals actually did in situations big and small, thereby providing inspiration for new challenges while acknowledging that the nature of those challenges and leaders’ responses to them are an ever-changing, never-ending story. In my experience, many organizations that lack a strong collective memory wind up ignoring their own wisdom in uncertain times. They’re also more likely to follow the latest nostrum on leadership without digging into their past, thereby deskilling themselves. One antidote is making time for storytelling: low-tech oral history or cutting-edge social-media platforms that give today’s leaders new opportunities to spin dits on a regular basis. Finally, although periodic, the process of commissioning and overseeing a corporate history can be of great benefit to the ethos of an organization—an invaluable opportunity for inviting staff members to consider what it has done, what it stands for, and how it does business. In meetings on HMS Victory with his officers in the days leading up to the decisive Battle of Trafalgar, in 1805, Vice Admiral Horatio Nelson presented his plans to defeat the allied French and Spanish fleets off the coast of Spain. On October 9, 12 days before the battle, he outlined these plans in a secret memorandum, which encapsulated the strategy discussed with his captains. To this day, at least one senior officer in the Royal Navy carries with him at all times a laminated copy of Nelson’s memorandum—a document remarkable for the strategic and tactical novelty of its contents. Nelson broke with the conventional naval wisdom of his day by calling for his ships to attack the enemy fleet perpendicularly, in two discrete columns, rather than forming a single line of battle and attacking the enemy in a parallel formation to maximize fields of fire. This “Nelson touch” proved pivotal in dividing—and destroying—the larger enemy fleet. To reiterate, the key is focusing on what individuals did in response to their own unique circumstances, not fixating on a specific set of strategies or tactics. One senior Royal Navy chief carries with him a small laminated copy of Nelson’s Trafalgar memorandum (see sidebar, “The ‘Nelson touch’”), which summarizes the plans discussed by the Royal Navy’s Vice Admiral Nelson and his captains nearly two weeks before the battle.6 The memorandum set out Nelson’s intent, strategy, resources, contingency plans, and inspiration—the essence of mission command, a forerunner of project management and the way most military operations are still run. Much has changed in the two centuries since Nelson’s historic victory. Still, in today’s crowded sea lanes, as much as at Trafalgar, the commander’s intent must be understood by everyone, whatever his or her role. How many organizations have that degree of clarity at an operational, tactical, and strategic level? Navy life has created a style of leadership that fosters trust, respect, and collective effort. Softer skills such as cheerfulness, storytelling, and the creation of a collective memory—all of which make indispensable contributions to the effectiveness of ships and fleets—merit serious reflection by business leaders, too. Author: Andrew St George (Andrew St. George is a senior fellow at Aberystwyth University’s School of Management and Business, in the United Kingdom. He is a corporate adviser and author of numerous publications on business and communications, including Royal Navy Way of Leadership (Cornerstone Publishing, June 2012)). This entry was posted	on Tuesday, January 29th, 2013 at 6:24 am	and is filed under Aktuellt, Leadership / Ledarskap. You can follow any responses to this entry through the RSS 2.0 feed. You can leave a response, or trackback from your own site. Powered by WordPress v 5.0.4. Page in 0.149 seconds.